Each factory has waste heat. This can be high-grade heat, such as 200°C flue gases, but this could also be a 30°C waste water flow. However, every plant has also much heat demand i.e. heating buildings and processes. With heat recovery the waste heat flows can be re-used and consumption of fossil fuels can be reduced. The temperature of the waste heat should match the temperature of the process or building to be heated. When the required temperature is higher than the waste heat temperature, a heat pump can be applied to increase the temperature level of the waste heat. The amount of heat available shall matcht with the required amount of heat. However, it is also possible heat a building or process partly with waste heat. Simultaneity between the waste heat flow and the heat demand is required. By the use of a buffer, this can be overcome. 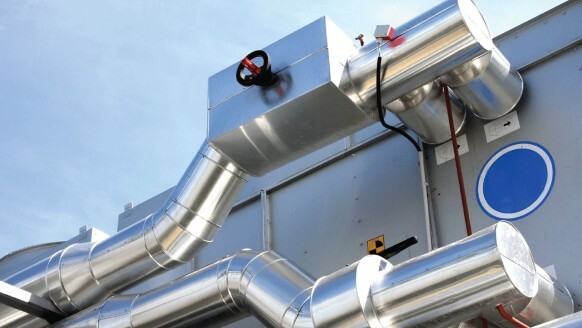 Do you want to know more about the heat recovery opportunities in your company? Don't hesitate to contact us.